One cannot do without a vacuum cleaner today - this purchase belongs to the priority ones. However, when they come to the store, many are surprised to find that a huge number of models with different characteristics and functions are being produced. In this article, we will tell you how to choose a vacuum cleaner that you need, and on which parameters you should pay particular attention to. First you need to decide what kind of cleaning you need - traditional dry or wet, when using a vacuum cleaner you can wash the floor cover. In the latter case, it is called "washing". Devices for dry cleaning, in turn, are also subdivided into several varieties. For example, they may differ in the way the garbage is collected - in a bag, in a special removable container, and some models are equipped with water filters (aqua-filters). 1. Models with dust bags. Such devices are found in the store most often. They are not very expensive, and it is quite convenient to use them. Consumers especially like disposable paper bags, which can be removed and thrown away with garbage, while not breathing dust. Fabric bags can be reused many times, but this requires periodically shaking them out. When buying a new vacuum cleaner, we usually get one fabric bag and several paper bags. When disposable paper products run out, it will be necessary to buy new ones - you have to pay for convenience. This means that it is necessary not only to part with a certain amount (albeit small), but also to sacrifice part of the free time to search for bags. And sometimes, having gone to the store for them, you can not find the right size for sale. However, it is quite possible to manage with a fabric bag that will last for years without requiring replacement. But inhaling the dust when shaking it out is very unpleasant, and for those who are prone to allergies, even harmful. The vacuum cleaner with a dust bag is driven by an electric motor that starts the fan. Thanks to this, a rarefied atmosphere is created in the chamber, which is built into the housing of the device. There is dust coming in from the brush of the vacuum cleaner through the hose and suction pipe to the inlet of the chamber. Once there, the air along with the garbage is inside the bag of the dust collector, after which the garbage settles in the bag. 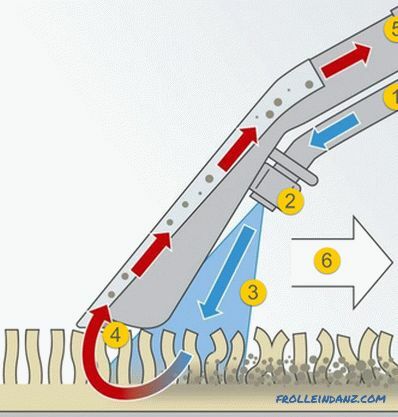 Dirty air passes through the filter system, where it gets rid of impurities. Purified air enters the room through the outlet of the device. 1. Air intake; dirty air enters here with dust and debris; 2. Bag holder; 3. A disposable or reusable bag in which the bulk of the garbage settles; 4. Engine filter, prevents the engine from heavy dusting; 5. Engine; 6. Fine filter, type HEPA. 2. Models that do not have bags . In such vacuum cleaners, cyclone-type systems are used. The British engineer John Dyson developed the device for the first time. The essence of his work is as follows: the air drawn in, mixed with dust, gets inside a special cone-shaped tank. There the air masses move along a spiral trajectory, passing from the base of the cone to its top. They rotate faster and faster, and dust particles drawn by centrifugal force are pressed against the walls of the tank. Stopping, they are no longer holding back and fall down to the bottom of the container. 1. Incoming air flow with dust; 2. Separation of large particles of garbage; 3. Filtration of fine dust particles; 4. Air filtration with HEPA filter. Today’s models of this type use the “double cyclone” principle, which Dyson also invented. In this case, for larger dust particles, an external cyclone is used, where air moves in a spiral. Most of the garbage remains on the separation plate, which is on the way to the internal cyclone. There is the removal of smaller dust particles. Thanks to the transparent walls of the container, you can admire this process by observing how dust vortices fly up. After work, the container is emptied by simply shaking out the garbage. Periodically it is recommended to wash the container. Many, deciding how to choose a vacuum cleaner for the house, stop at cyclone models. After all, they have when filling the dust collector, the suction power is not reduced. 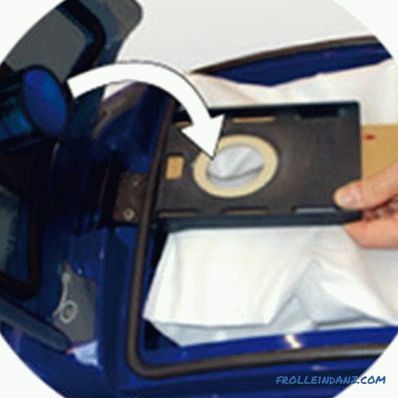 This distinguishes them from devices equipped with dust bags. When such a bag is filled, the traction of the vacuum cleaner weakens noticeably. However, the cyclone method is not without drawbacks. So, shaking out the container, a person inevitably comes in contact with dust. In addition, purified air coming back is not perfectly filtered - about 97 percent of dust lingers.However, modern HEPA filters, which serve for additional air purification, bring the second drawback to nothing. Using such a vacuum cleaner should not allow the destruction of the cyclone. It can be destroyed by reducing the flow of air. For example, this may occur at the moment when a cleaned carpet or any other object is stuck to the brush of the vacuum cleaner. 3. Models with an aqua filter . In these vacuum cleaners, water poured into a special filter struggles with dust. During cleaning, dirty air goes there through the suction pipe and hose. The air supply pressure is high, and it immediately mixes with water, forming a mass of bubbles. At the same time, large dust particles quickly sink, while small particles “hide” in air bubbles. For their removal apply additional filters. 1. The main filtration takes place in a water bath; 2. Intermediate filter - filters out fine dust particles that have escaped from the water; 3. HEPA filter trapping the smallest particles. Such devices are good because they have a constant suction power. Yes, and emptying the dust collector is easy enough - you just need to remove the water filter and pour the contaminated liquid into the sewer. And still models with an aqua filter help to create a comfortable microclimate. After filtration, they give back clean, fresh and humidified air. But it must be remembered that the container of such a vacuum cleaner requires not only shaking, but also regular (after each cleaning) washing. But sometimes it may not be time or desire. 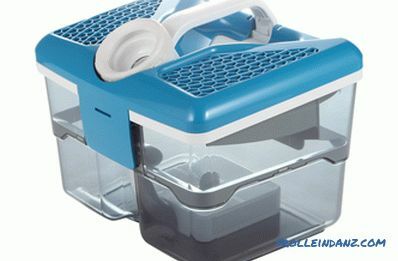 In addition, a device with an aqua-filter requires more space than a conventional vacuum cleaner, since its dimensions are more substantial. 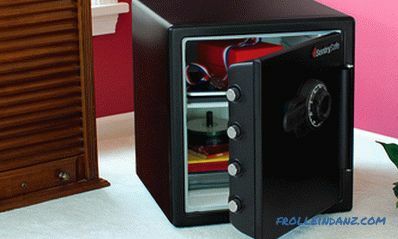 Therefore, before buying, you must first consider where the device will be stored. And buying such a vacuum cleaner as a gift for an elderly person, it is worth asking if he needs it. Perhaps grandmother would prefer a classic compact model with a bag that you don’t have to wash every time. 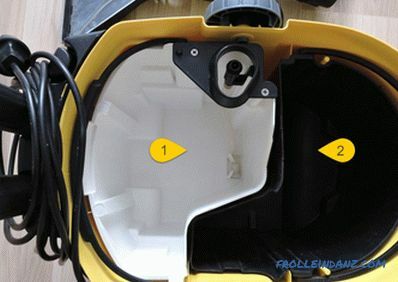 Despite all the technical improvements and improvements, in the process of using a vacuum cleaner with a container or aqua filter, a number of drawbacks may appear that can lead to the rejection of its use. Knowing this, smarter manufacturers produce models in which you can use either a container or an aqua filter or a dust bag. These devices can be cleaned in a dry or wet way. In the latter case, water is sprayed on the floor, and then sucked into the inside of the vacuum cleaner. This ability can help out when you need to quickly collect a puddle from the floor. 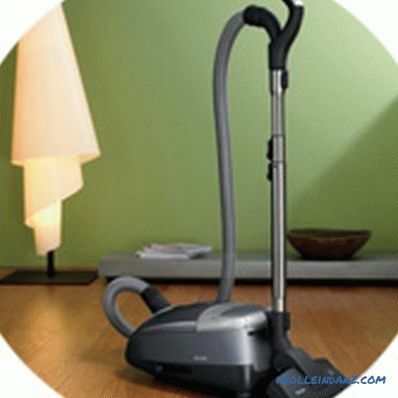 It is very convenient to clean carpets, tiles and masonry with a similar vacuum cleaner. And wearing a special nozzle, you can wash window glass to shine. If you choose a household cleaner of the washing type, you will get a higher quality of cleaning. It is enough to use it once a week, achieving the same purity as when working with a dry vacuum cleaner every other day. clean the blockage in the bath or sink. Now for the cons. The price for a model with a washing function is two or even three times higher than those that can be cleaned only by the dry method. In addition, not all furniture like wet cleaning. Do not tolerate such treatment and carpets with natural nap, and noble parquet. For a fragile woman or child to clean these vacuum cleaners will be difficult - it is big and heavy. And after each cleaning the device must be disassembled, washed and dried. Electricity consumption is quite large, as is the consumption of detergent. By the way, when cleaning the carpet most of this tool remains on it, leaving the vacuum cleaner forever. In each such device there are two containers - 1. for clean water with detergent and 2. for dirty water. From the first tank, the composition is fed through a hose to special nozzles, sprayed all over their surface. In the second tank in the suction mode the waste liquid enters. The supply of clean water can be adjusted independently. 1. Clean detergent solution. 2. Sprayer. 3. Spraying detergent solution. 4. Suction of dirt. 5. Collected dirt is transferred to a special container. 6. The direction of movement of the brush. Those who are interested in washing vacuum cleaners can be recommended to read more about them - a separate material is dedicated to them (link at the bottom of this article). And we will continue to talk about the parameters you need to pay attention to when choosing a vacuum cleaner. It is this characteristic that is decisive when comparing similar models. Naturally, it is better to dwell on the one in which the suction power is of greater importance.After all, this suggests a more efficient operation of the vacuum cleaner - it means that the apartment will be cleaned faster and cleaner. Just not to be confused with the power of the suction power consumption. 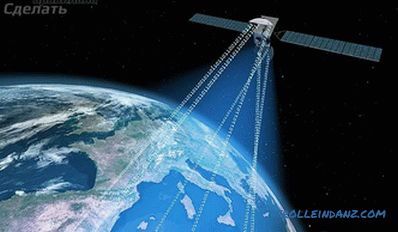 It is usually indicated on the case of the vacuum cleaner in large figures and is calculated in thousands of watts. So, you can often see these values: 1200, 1800, 2000, 1500 watts. This information tells you how much electricity this model consumes. 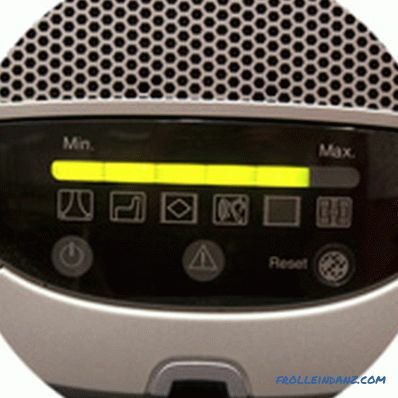 The suction power on the case is either written in small print or not written at all. Then you need to look into the technical passport of the device and look for information there. The problem is that so far there has not been a standard for vacuum cleaners by which the suction power would be measured. As, for example, the class of washing or spinning washing machines, which has long led to a common global denominator. Therefore, different manufacturers report suction power in different ways. For example, some of them began to measure this parameter in aerowatts. This unit originated from the English system of measures and is not standardized on a global scale. So the other part of the manufacturers indicates the suction power just in watts. Usually, decent manufacturers always indicate two values ​​of this characteristic: maximum and nominal. 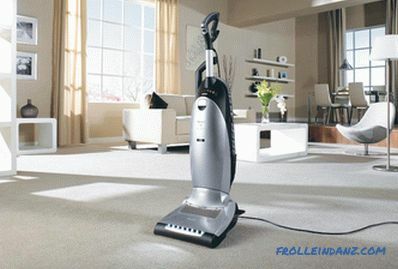 This helps the user to choose the right vacuum cleaner for the parameters. The thing is that the maximum suction power takes place in the first few minutes after switching on, and the nominal - in 5 - 10 minutes. Well, when these values ​​differ by 14-16 percent, not more. If this indicator is in the range of 300 to 350 watts, then the vacuum cleaner will cope with tile, linoleum and short pile carpet. Owners of large apartments, pets or carpets with a long nap can be advised models in which the suction power ranges from 350 to 500 watts. 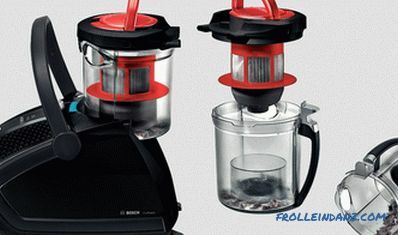 A particularly successful combination is low power consumption plus high suction power. This means that the model belongs to the upper class. In order to remove as much of the dirt and dust as possible from the air, it must be carefully filtered. 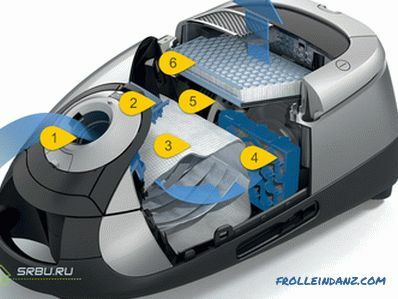 Some elite class vacuum cleaners are equipped with ten to twelve filters. As a rule, this is just another trick of marketers. Let us consider in more detail the filtration system. 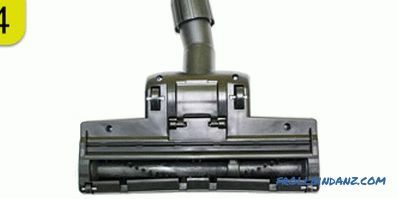 When air is sucked into the vacuum cleaner along with debris and dust, it enters one of three devices: a bag, an aqua-filter or a container. The largest dust particles there and settle, and the small ones continue their way along with the air, reaching the front of the motor filter. It protects the motor from dust. The air moves on and reaches the output filters. The most commonly used at the output are electrostatic microfilters, S filters and fine cleaning devices - HEPA filters. The name of the latter is an abbreviation, which stands for "High Efficiency Particutate Air". If we translate this phrase, we get "highly efficient air cleaning." Dust microparticles that are capable of catching output filters can be as small as 0.3 microns. Different filter models may have varying degrees of efficiency and durability. 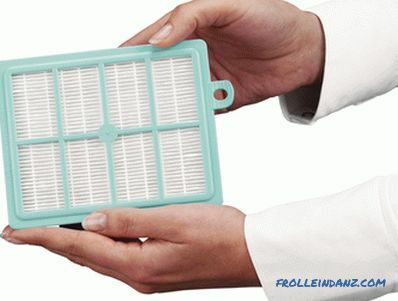 The HEPA filter is a kind of harmonica made of special fiber material with a fiber diameter of 0.65 to 6.5 microns. Disposable filters are made from fiberglass and paper, and reusable - from fluoroplastic. Fluoroplastic products require periodic washing - under this condition they can be used for a very long time, as much as by the vacuum cleaner itself. The performance of the HEPA filter is determined by the European standard - the norm ЕN 1822. Further - in more detail about the models like HEPA. One of the variants of the HEPA filter. 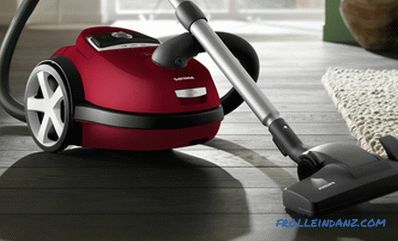 Vacuum cleaners manufactured today are usually equipped with HEPA H 13 or HEPA 12, HEPA H 11 filters. It is much less common to see devices that use HEPA H 10. The number at the end determines the degree of air purification. The greater its value, the more efficient the filtering system works. At the same time the cost of the vacuum cleaner increases. But those who suffer from asthma and allergies, to save on their own health is not worth it. Experts know how to choose a good vacuum cleaner for this category of people - these are models with HEPA H 13 or higher filters. They not only remove all the dust (even the smallest) from the air, but also tobacco smoke and plant pollen. 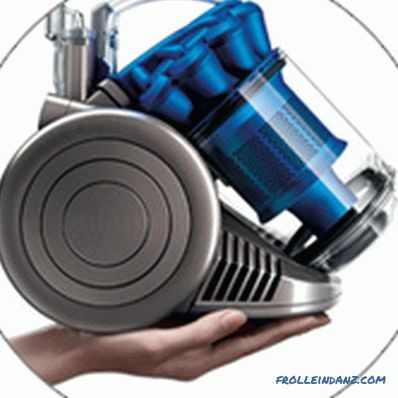 When buying a vacuum cleaner, you need to keep in mind that not all models come with filters for fine cleaning. Often they need to be purchased separately. Several types of HEPA filters are on sale - they are both reusable and replaceable. It should be mentioned about S filters - devices of even higher level of purification. Their degree of trapping allergens and the smallest dust is 99.97 percent. They can also be replaceable or reusable. They require washing or replacement only once a year. In this case, this is a system that turns on the vacuum cleaner, turns it off and adjusts the suction power. Usually, for this purpose, use the buttons on the handset or the lever on the control panel or case. Vacuum control can be electronic or mechanical. 1. The mechanical system . The mechanical system is a rotator or a slide switch located on the body of the device. With its help the power is regulated. Such a system has some disadvantages. When cleaning, changing the power, you have to bend over to the body of the device, and the possibility of its adjustment is limited by fixed values. 2. Electronic system . Electronic system - a regulator of a rheostat type, which allows to smoothly change the power, just as the sound is regulated in a radio receiver. The regulator is located either on the housing or on the tube of the vacuum cleaner. In some models there is also a liquid crystal display, which shows the value of power, as well as other operating parameters. In general, it is much more convenient to use devices with an electronic system than with a mechanical one. In addition, they are less energy-intensive. Wired control assumes the presence of wires running from the housing to the tube through a hose. The reliability of this method is quite high, but the wires make the vacuum cleaner hose much heavier. Work is not very comfortable. Infrared control is no less reliable than the previous one, but the hose is still light. This system works the same way as a regular remote control. Radio control is one of the best ways. Its reliability is the highest. The only negative - there are models with such control is very expensive. 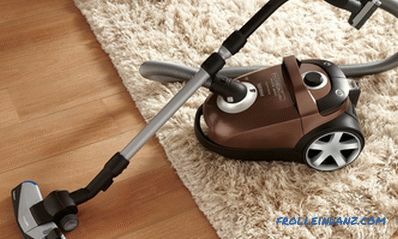 Some modern vacuum cleaners are equipped with a useful function - their power is automatically adjusted according to the type of surface being treated. For example, if a smooth floor is to be removed, books or furniture are cleaned, then there will be enough suction power from 250 to 300 watts. Well, and nap cover will require an increase in suction power to the limits of 300-400 aerowatts. 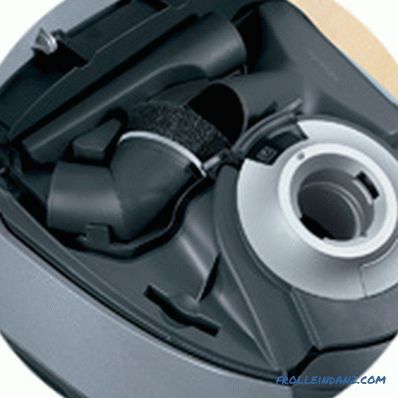 In the design of the vacuum cleaner, this part plays an important role. Some time ago, many models with plastic pipes were sold, and such devices are still found (but rarely). Not knowing how to choose the right vacuum cleaner, listen to the advice of professionals - they do not recommend buying appliances with a plastic suction pipe. If it is made of metal, it will last much longer. Structurally, a pipe can be solid or collapsible, connected from two tubes inserted one into another. 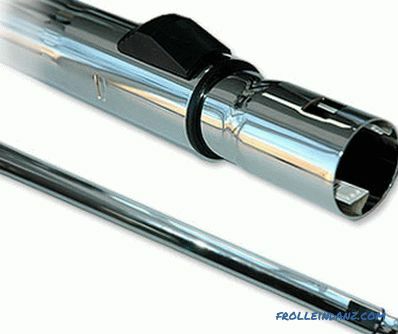 Often you can find telescopic type suction pipes (in the image). They can be pushed to the desired length, like a rod, fixing in this position. 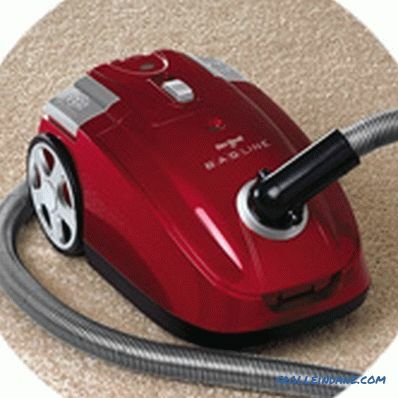 It is very convenient, and the most "cool" models of vacuum cleaners differ in this feature. 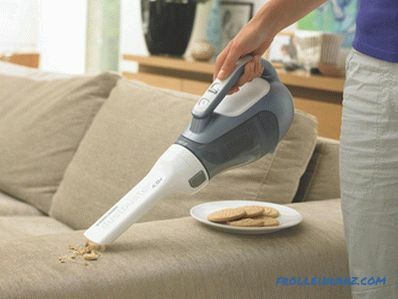 In order for the vacuum cleaner to become a universal device for cleaning any of the surfaces, various nozzles are used. They will equally well cope with the cleaning of a smooth floor and long-pile carpet, velvet curtains and upholstered furniture. Usually in the standard kit is 3 or 5 different tips. The slot-type nozzle is a flat tube that has a narrow end the gap. It comes complete with any vacuum cleaner. Helps to cope with dust inside and behind the batteries, as well as along the baseboards. Round brush with a long bristle. It is convenient to clean books, as well as carved furniture and other products with a complex surface. 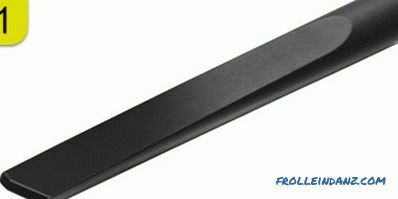 The oval stiff brush is provided with a short bristle. It is used for cleaning hanging on the walls of carpets, heavy curtains, upholstered furniture. 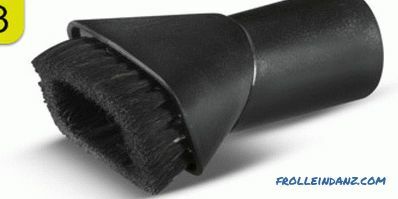 The Turbo-brush is useful for owners of cats, dogs and other pets. She copes with wool, removing it from upholstered furniture and carpets (this also applies to hair).And for needlewomen, it will not be superfluous, deftly gathering threads from the floor. In the summer, the turbo brush will successfully fight the poplar fluff. 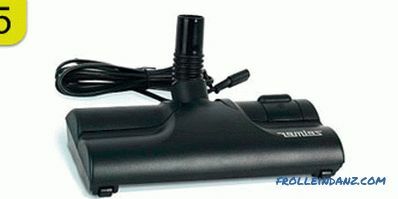 Electric brush - otherwise, electric turbo brush. It has all the advantages of the previous nozzle, but it is much quieter as it rotates by the force of electric current. She also has a minus - due to the wires supplied from the case of the device, it makes the pipe heavier. Like a regular turbo brush, it cannot be used for carpets, where the pile is longer than one and a half centimeters. A natural bristle brush will be needed to process "noble" and expensive coatings whose surface is smooth. 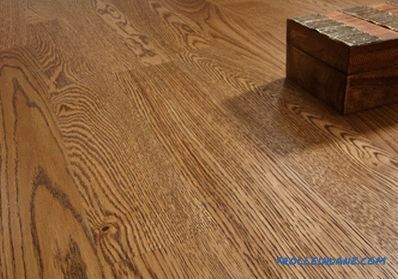 This is parquet, granite, stone (artificial and natural), laminate. 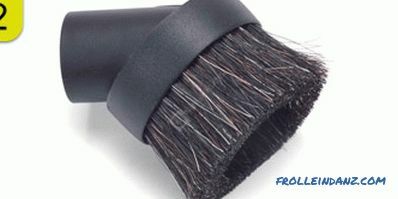 Natural bristles will not scratch the coating, effectively cleaning it. And this is also important - too loud the device acts on nerves and causes headache. Therefore we pay attention to the number of decibels indicated in the passport. On March 12, 2002, a convention was adopted in Brussels, declaring the noise level of various devices. This document is signed by representatives of many well-known brands that produce vacuum cleaners. In particular, you can call the familiar to each company Miele, Philips, Rowenta, LG, Bosch, Electrolux. The convention determined that vacuum cleaners should be tested by the manufacturer with the engine turned on at maximum power. Measurements are made as follows. The finished device is plugged into an electrical outlet, and a microphone is placed at 30-50 centimeters from it. 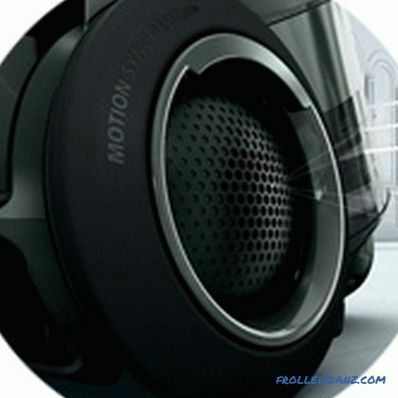 In addition, you need a device that measures the noise level and the recording. Tests are carried out 2 or 3 times (until the noise level becomes constant). So check every vacuum cleaner. Even if only 7 percent of the entire batch turns out to be “louder” than the remaining 93 percent, it will still declare the maximum noise level. Modern models of vacuum cleaners should not make noise louder than 80 decibels. As an example - when a person whispers, he makes a noise of about 40 decibels. In stores, there are mostly models with a noise level of 70 decibels, and even 60-65 decibels. Cyclone-type vacuum cleaners make the most noise - much stronger than models with dust bags. The weight of the device can vary from 4 (for compact models ) up to 5-6 kilograms (for full-size models). The latter are the most convenient for regular use. A reduction in weight and size is usually the result of savings on the volume of the dust bin. The type of parking (storage) can be horizontal or vertical. Horizontal parking does not change the natural working position of the vacuum cleaner. Vertical parking means that the device is placed on the front side where the network socket is located. In this case, it is possible to fix the tube vertically on the body. As a result, the storage area of ​​the device is significantly saved. The nozzle compartment located on the body helps not to lose any of them, and also to quickly get the right one. Some manufacturers provide storage space on the handle, where nozzles are fixed on a special panel. When working, this panel is removed, and after cleaning put on again. But user reviews say that it is extremely inconvenient to store attachments in this way. Cleaning is delayed and complicated. Overheating protection is a necessary function. If it is not there, the engine that has been heated to a critical state may break. The device is heated for various reasons - most often due to the fact that the dust collector is filled to capacity. Another cause of overheating can be blockage when the air can not go through the hose or tube. Almost all vacuum cleaners today have automatic shutdowns when the permissible temperature is exceeded. So they can be used safely. 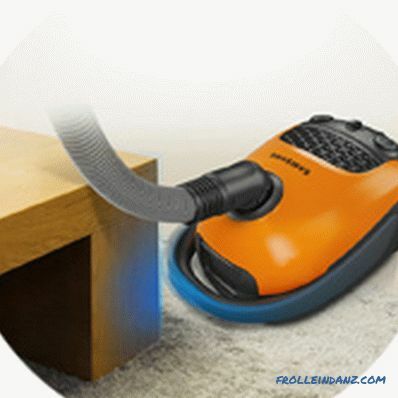 A false start block will be required if you accidentally forgot to insert a dust collector after the last cleaning. The blocker will warn your forgetfulness, and the device will not turn on. 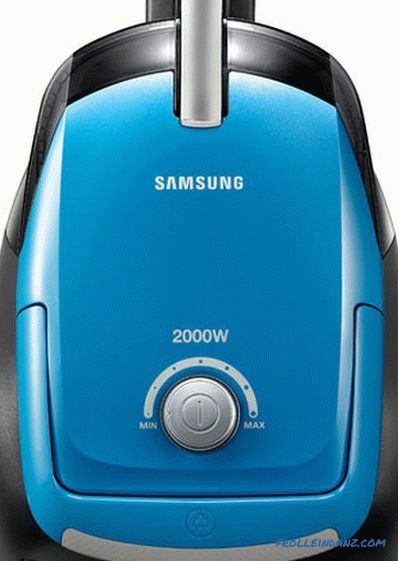 Indicators monitor the condition of the vacuum cleaner and its performance. If they are not available, you will have to periodically open the case and visually check that everything is in order. 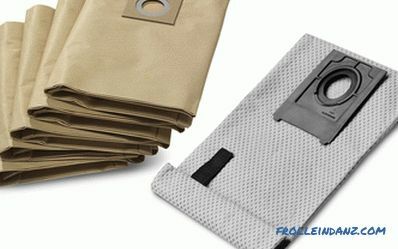 The device can be equipped with: overheating indicator - if there is no automatic shutdown when the thermal limit is exceeded; indicator of filter pollution, indicating the need to replace or clean the filtering device; Dust bag full indicator. The length of the electric cord determines the mobility of the vacuum cleaner when moving away from the wall outlet, and the length of the hose - the radius of its action.Modern devices usually have the function of automatic winding of the cord, and sometimes it complements the possibility of automatic reverse. 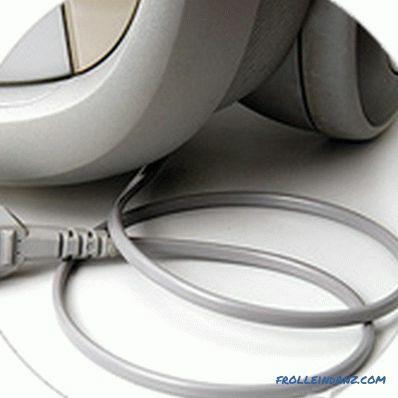 That is, unwinding of the cord occurs when the vacuum cleaner is removed from the outlet, and when moving in the opposite direction, the cord is automatically wound. The device’s wheels determine its maneuverability by 90%. If they are fixed from the sides of the case, then movement is possible only along a straight path. Another thing is when the wheels are fixed on the bottom - at the same time, the vacuum cleaner can move in any direction and deftly bend around corners. Plastic wheels are not very practical - sometimes they scratch the floor covering. It is better to choose models where the wheels are rubberized. Another handy thing is a protective soft bumper that surrounds the entire perimeter of a vacuum cleaner. It will protect the furniture and the corners of the room from shock. 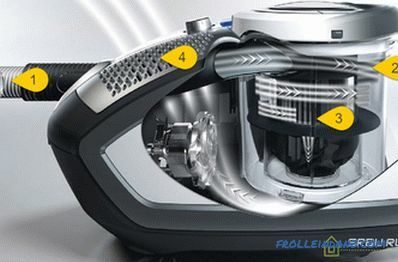 There are four design options for vacuum cleaners. This should be known in order to understand how to choose a vacuum cleaner for an apartment or house. Types of devices can be as follows: balloon, vertical, manual and mop-type vacuum cleaner. Cleaning horizontal and vertical planes, including bookshelves, stairs and carpets, hanging on the wall. Cleaning of hard floor coverings and carpet (except for some models) coverings. For carpets included is a special brush attachment. Standard equipment: suction tube, floor brush nozzle, slot-type nozzle, nozzle for upholstered furniture. Device for automatic winding of the cord. suction pipe of increased length. There are rollers and hinges, increasing maneuverability. 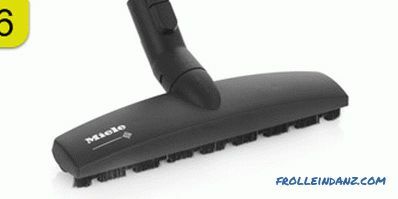 The brush is equipped with a bumper that protects the walls and furniture. The depth of carpet pile cleaning is adjustable. motor protection system against coins, pieces of paper and other debris. 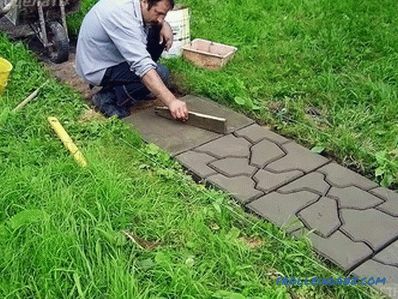 Such a device is best suited for small rooms where the flooring is hard. Especially appreciate it to those who are unable to wield bulky and heavy devices of standard sizes. 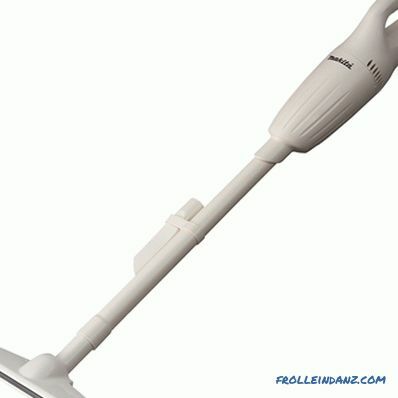 This device can be at least every day to clean the floor or carpets, clean the stairs and rugs. These small devices can quickly and easily remove small debris. Depending on the modification, they can operate on mains or battery. Ability to clean vertical planes.